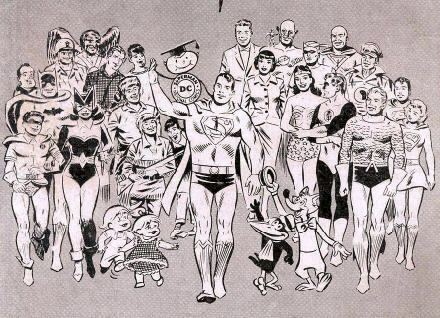 Having amazingly maintained a price of 10 cents for twenty-five years (mainly by reducing the page count) DC comics finally increased to 12 cents in 1962. 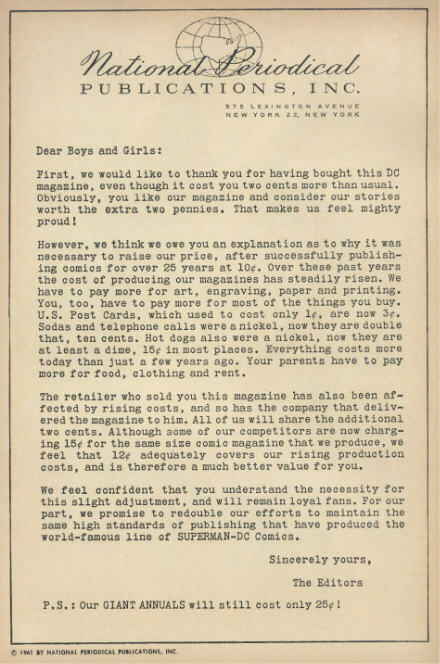 The regular-sized issues would remain that price until July 1969 when they jumped to 15 cents. I wonder how much longer in these inflationary times comics will still be available for $2.99 ? This shows just what a big deal that increase was in 1962. These days they certainly wouldn’t bother with a full page to justify the reasons for a price increase.